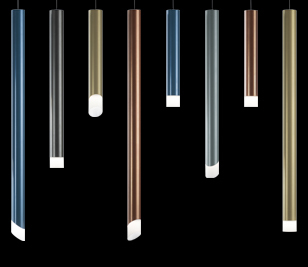 Design consultants assisting and advising on your lighting requirements. Our dedicated and experienced lighting design consultants can assist and advise on your lighting control requirements. 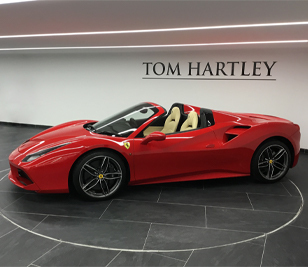 We are committed to guiding Clients, via their brief, towards an efficient and appealing lighting scheme. At Hacel we utilise Relux and AutoCAD software as planning aids to create innovative and imaginative schemes tailored to our Clients needs. Lighting Schemes can be produced as a simple floor plan or as fully rendered 3D presentation. 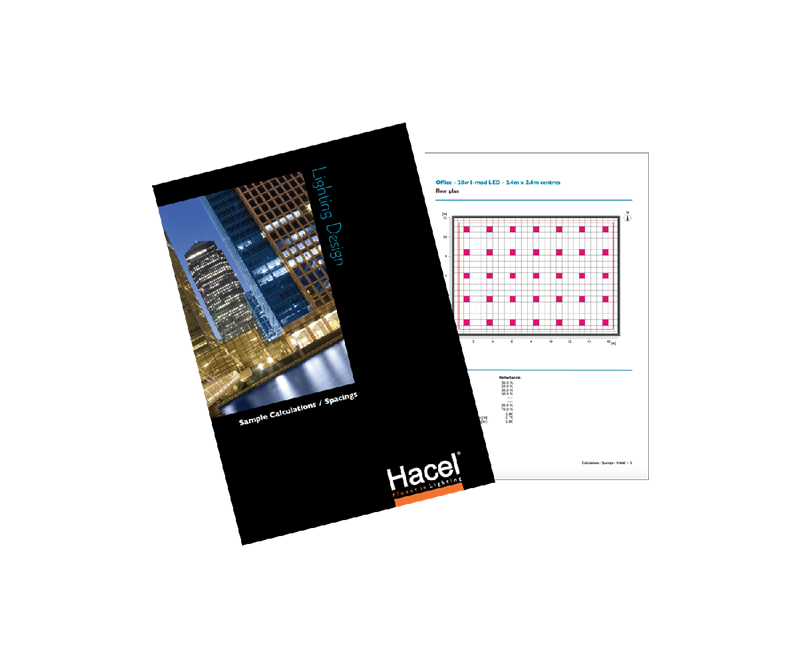 Autodesk REVIT files are available for all Hacel products as shown on individual product pages. Our approach is to consider the complete solution by integrating our latest, innovative products with a quality lighting design service. We work to create sustainable solutions for our clients with ecological awareness. 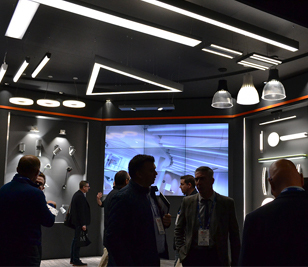 Download a copy of our Lighting Design Brochure, which outlines sample calculations and spacings for typical commercial layouts. 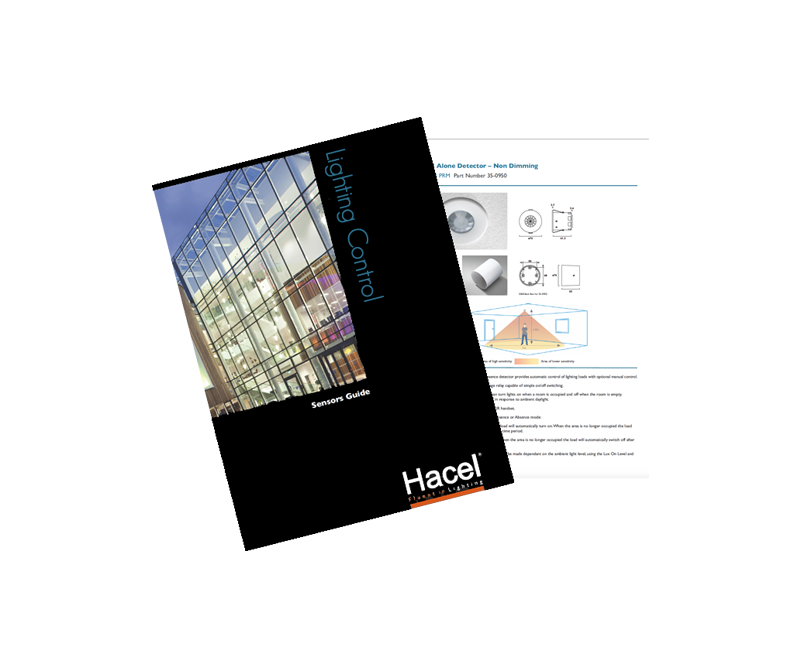 Download a copy of our Lighting Controls Sensors Guide, providing innovative solutions to meet the needs of a diverse range of applications and scenarios.